I have created a product for the auction and made a few test bids. The product has an authorized URL. Everything works very well, but the link to the product in the confirmation email leads to my 404 page. You see the URL here. Beside that: When auction is finished, there is a link to checkout in the confirmation email. It works well, when the user is logged in, but it is not in his/her cart. 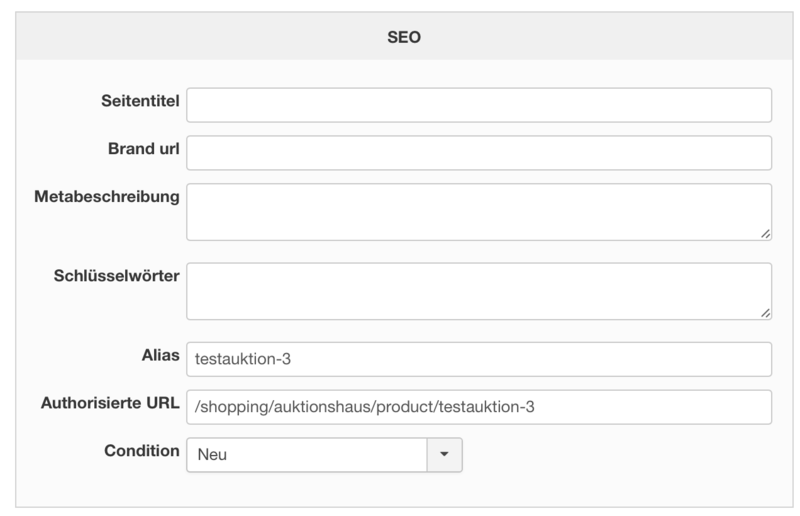 Is it possible to put the auction-product in the winner's cart ? The reason, why i'd liked that is: When a user is not logged in, he is redirected to my login-page and he don't come back to the checkout page unless he click the link in the email again. Thank you for your feedback, we'll reproduce it on our end and improve it as soon as possible ! We just added a patch through the last HikaAuction version, can you download it through our website, install it and test it again ? Thank you. a 2nd ask: Is there an easy way to change the username into the real name (in the first line of message)? So you can potentially change that code to use other fields of the customer account. For example, instead of "username" you can use "name" which is the name of the Joomla user account. However, if you want to use the firstname and the lastname of the customer in his default billing address, that's more complex as you need to first load the address data from the database with a MySQL query before you can use it. It would require a bit of coding.